Contact | Med Gas Services, Inc.
Monday – Friday 08:00 a.m. – 04:30 p.m.
To deliver and provide the safest, medical gas systems and medical gases available. To guarantee next day delivery and provide service that gives both the patient and the healthcare provider peace of mind. Currently not a licensed contractor (coming soon!). 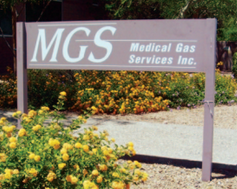 Since 1988, Medical Gas Services has been a proven local resource that responds to medical gas system emergencies as they arise and provide all medical gases. Copyright 2015. Med Gas Services, Inc.